Few people have given any thought to what their nutritional needs are or how important nutrition is to their overall healthy life. They don’t know that, for example, if the human brain doesn’t get enough protein, it won’t develop correctly, or that if a female body doesn’t get enough of certain nutritional substances like flax oil, the metabolism will be impaired, and the body will gain weight. 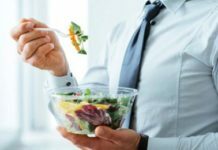 This information highlights and emphasizes the critical importance of determining what our needs are and meeting our nutritional needs through good eating habits. Experts in the media often remind us to take our vitamins and to eat fortified cereals and to drink out milk, but what we really need is information about how our eating habits and the foods we eat contribute to nutrition on a daily basis. We must learn how to provide our bodies with everything they need – food, vitamins, minerals – to maintain optimal health. In order to determine our basic nutritional needs, we need to educate ourselves about what, exactly, our individual needs are. Then we can use that knowledge and apply it to buying, preparing, and eating appropriate foods. We need to recognize that our nutritional requirements change as we age; the nutritional needs of a teenager are different from those of a senior citizen. In many cases, what we need in terms of vitamins and minerals is much more critical than our need for calories. If it is necessary, we can take vitamin and mineral supplements, which are manufactured by nutrition firms, to help us fill the gap that may exist if we don’t get enough of these substances in our daily diet. 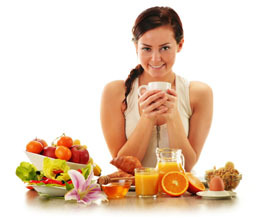 Nutrition is an extremely complicated subject because there are so many variables to consider. As mentioned before, it is a fact that our bodies change as we age, and we will need to adapt our eating habits and nutritional foods accordingly. Additionally, the nutritional needs of people with illnesses are different from those of healthy individuals. Few doctors recognize this fact, however, and may provide the same nutrition advice to healthy pregnant women as to an ailing cancer patient.